The second album of guitarist Rolf Munkes super project featured a lot of big names. 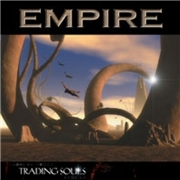 Released originally in 2003, two years after the debut, the project stuck with their take on classic melodic hard rock. Guitar scholar Munkes was joined by Don Airey (DEEP PURPLE, ex. RAINBOW), Tony Martin of BLACK SABBATH fame, and the well-travelled bass man Neil Murray. Drummer Gerald Kloos (WINTERLONG) and guest drummer Anders Johansson made up the ranks. Mixing was dome by Stefan Kaufman of ACCEPT, sp this ought to blow us all away. This album is a solid enough effort, but it lacks in truly outstanding tracks. Opener “One in a Million”, the power ballad “Did You Ever Love Me”, the bluesy and groovy “Comin´ Home” and the very genione closer “Back in the Light” are about it. The only semi-mediocre tracks are “Pay Back Time”, plagued by a somewhat lame refrain, and the DIO-esque and rather run-of-the-mill effort “Whenever You Go”. The rest are so solid yet a tad too…neat and less bloodthirsty straightforward killers…as I actually expected. Not that any fan of the eighties magic will be downright disappointed…but the calculated magic…is not here too often.